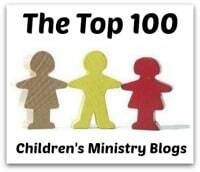 When it comes to your Children's Ministry, do you believe your Sunday school is an important part of what you do? 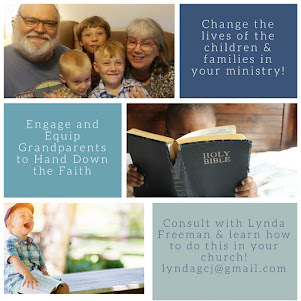 Would you firmly say it is worth the time of the children and families for children to be there on Sundays? If so, what message are you sending if you stop offering Sunday school in the Summer? 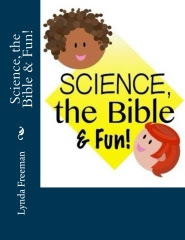 If it is something you are able to cancel for the Summer - or some part of the Summer, and it is acceptable for children to not participate in Sunday school during those times, why is not not acceptable for them to just write it off and stay in bed the rest of the year? 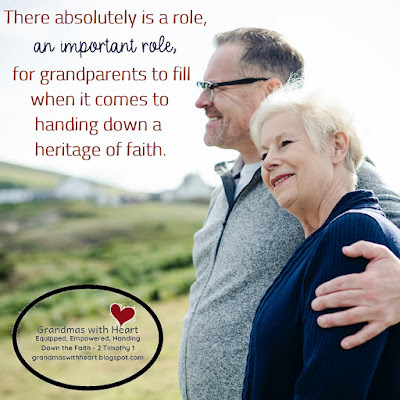 Almost four years ago a group of people met to talk about if there was a need for a ministry which equipped and encouraged grandparents to hand down the faith to their grandchildren and which called upon churches to serve the grandparents in their church by developing a Grandparenting Ministry. This group became known as the Legacy Coalition and four of our Grandmas with Heart were there - Sherry Schumann, Linda Ranson Jacobs, Cathy Jacobs and me, Lynda Freeman. 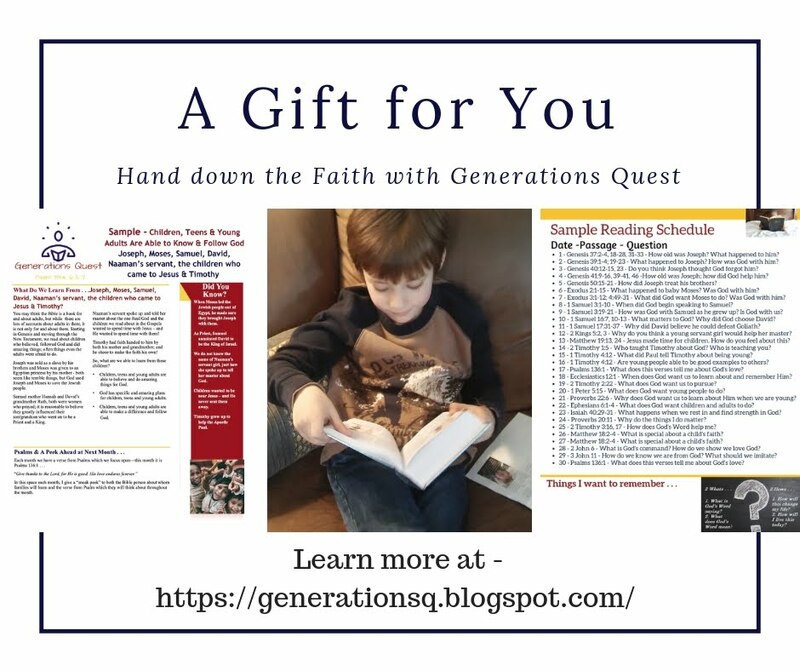 The following May we were invited to speak at a grandparenting conference in Minnesota - the general sessions were filmed and turned into a resource any church is able to use to equip the grandparents in their ministry. 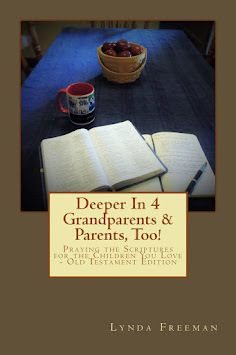 This DVD resource - Grandparenting DVD: Strengthening Your Family and Passing on Your Faith is a two DVD set with ten sessions and a workbook; the speakers are Larry Fowler, Josh Mulvihill, Cavin Harper, Valerie Bell, Rob Rienow, Linda Ranson - Jacobs (one of our Grandmas with Heart), Cathy Jacobs (another of our Grandmas with Heart) and me, Lynda Freeman. I'm very happy to say the Legacy Coalition sent one set for me to review and a second one for me to give away. How Do We Hand Down a Heritage of Faith? Serve God & Do Not be Distracted by the World! 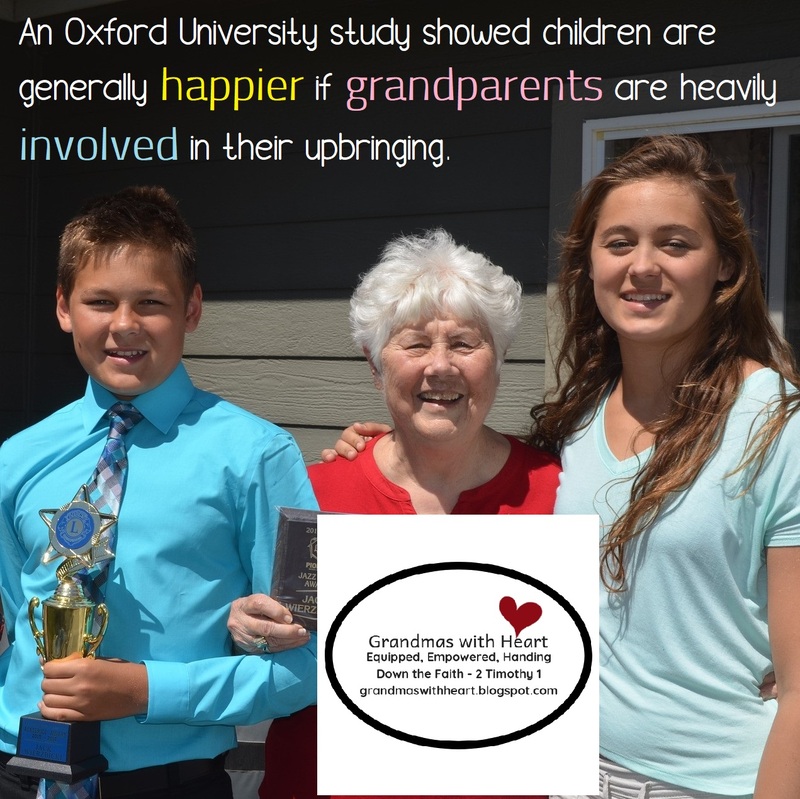 Please share with the parents and grandparents in your church. Fear the Lord your God, serve him only. Yesterday I talked about how the people of Israel had trouble with remembering all the things God did for them; how He saved them, led them and provided for them. Over and over they forgot. I said; "We tend to do the same. We think the things we have are because of what we have done instead of remembering all we have are blessings from the hand of God. We forget God's goodness, but He says to be careful we do not forget. He wants us to remember and we need to remember. It is an important part of handing down a heritage of faith, because if we do not remember God and His many blessings, our grandchildren are unlikely to do so. When this happens, we slip into sin." We so easily become distracted by the things in this world. We lose focus of what is truly most important and think things like earning more money, taking bigger and better vacations, owning a bigger and newer home, driving new cars, etc. are important, when in truth, none of these things matter. Not really. 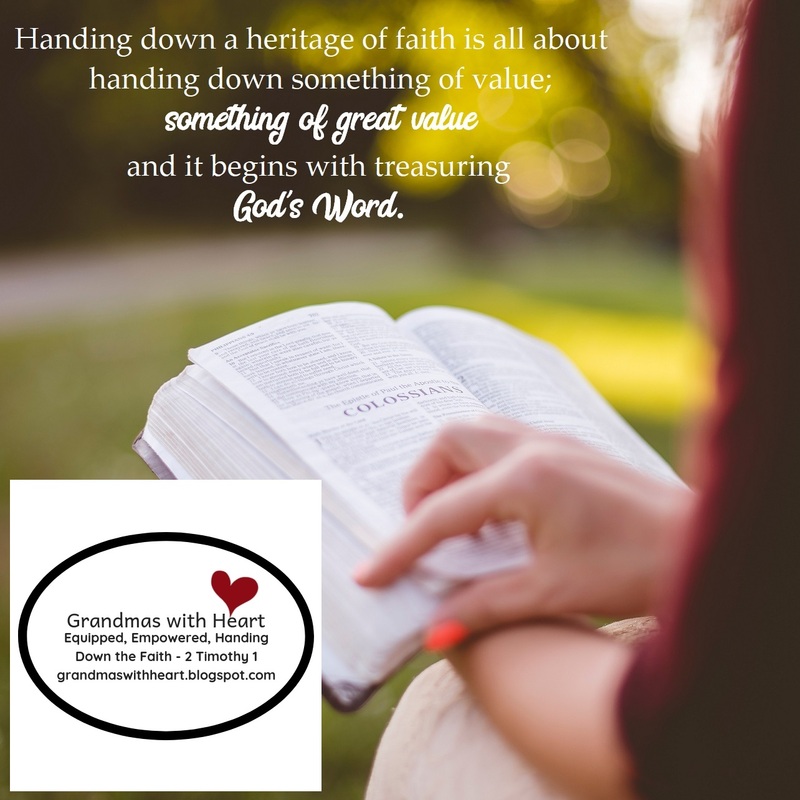 If we end up with all these things, but fail to hand down a heritage of faith to our grandchildren will we say, "Oh well. I had a great car, house and big bank account!"? No. Nothing, please allow me to repeat, NOTHING is more important than handing down a heritage of faith to our grandchildren. 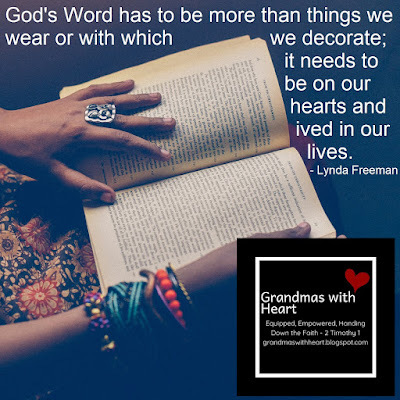 If we are serious about handing down a heritage of faith, we have to stay focused on what is really important; so we do not become distracted by this world. We need to remember Who we serve. We are able to do this in the following ways . . . 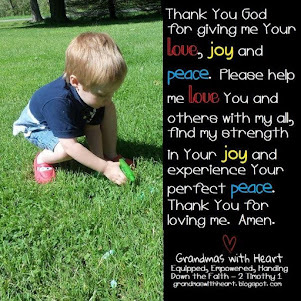 Please share the following post with the parents and grandparents in your ministry. How Do We Hand Down a Heritage of Faith? Talk about It! 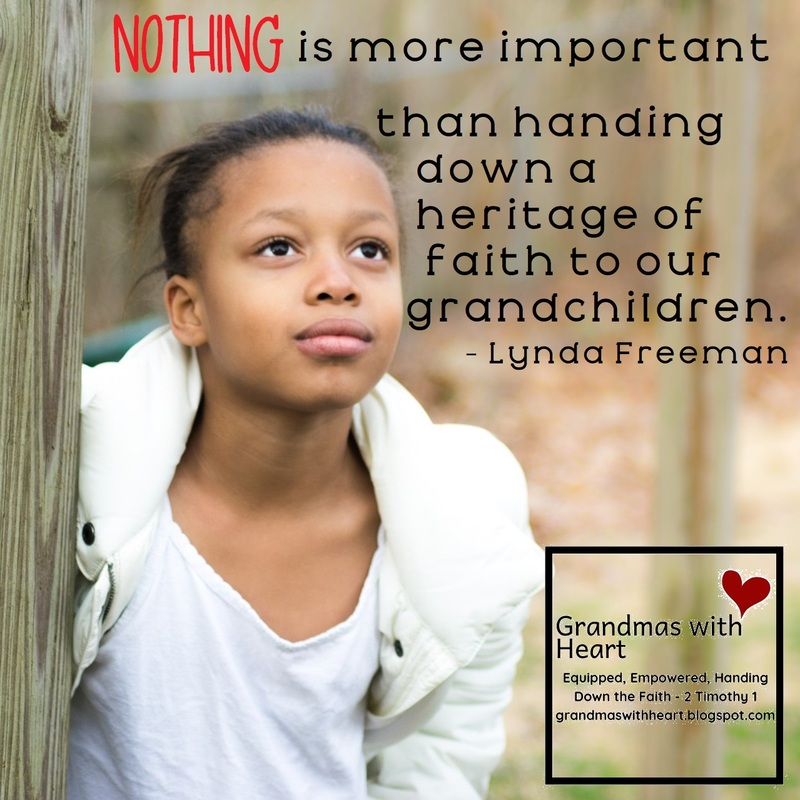 We know our "job" is not finished just because our children are grown. This is what Deuteronomy 6 is talking about when it says we are to; "talk about God and His Word in our day-in-day-out lives". 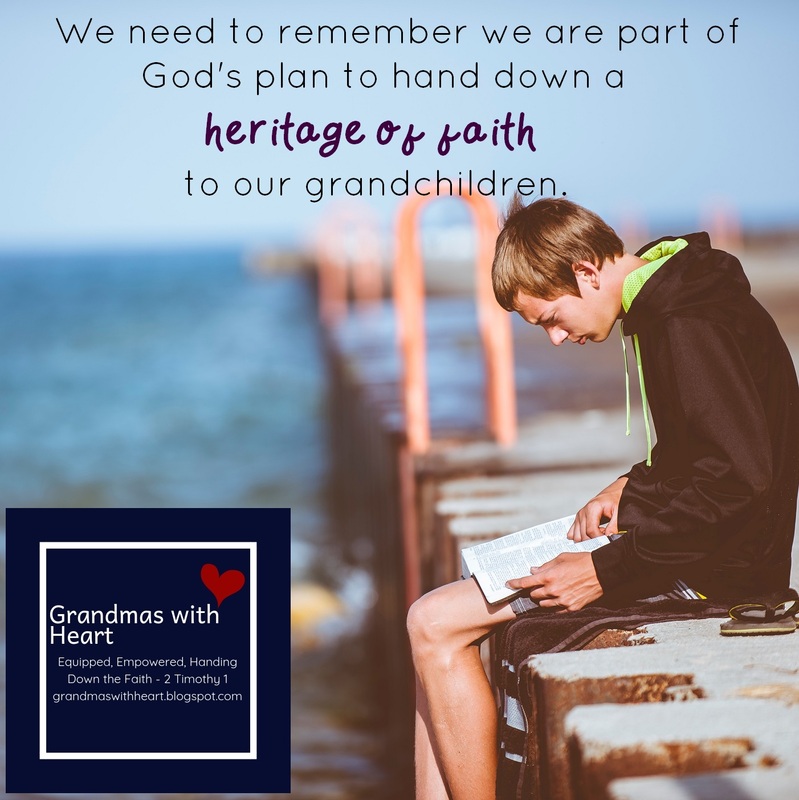 We need to remember we are part of God's plan to hand down a heritage of faith to our grandchildren. 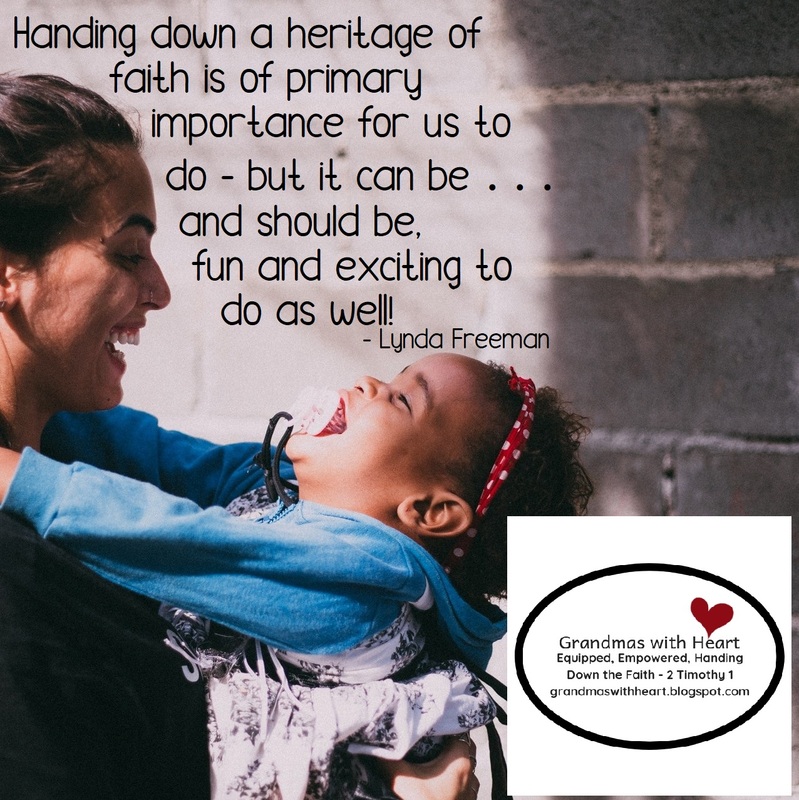 How Do We Hand Down a Heritage of Faith? Impress God's Word Upon Our Grandchildren! 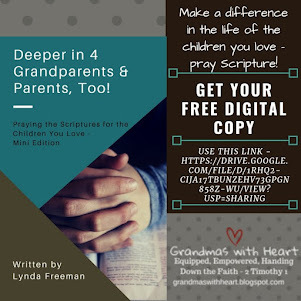 Please share this with the parents/grandparents in your ministry to help them know how to hand down the faith to the children they love. 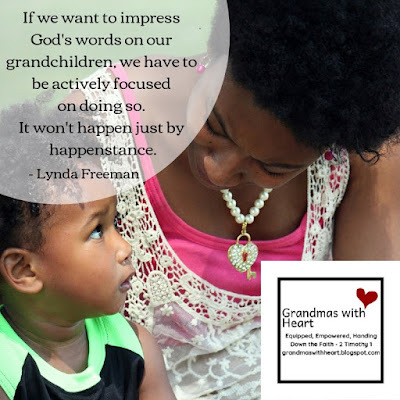 I have been writing about how our "job" is not finished just because our children are grown. 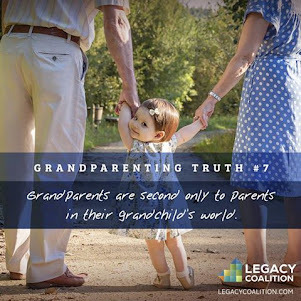 If we have grandchildren we still have a very important job to do. 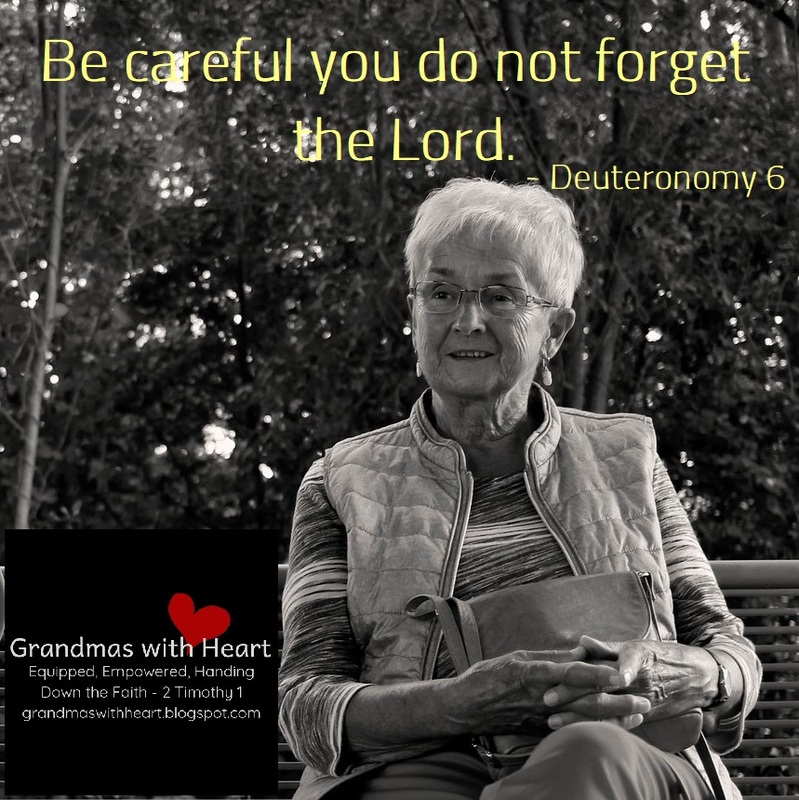 We are part of what Deuteronomy 6 is talking about. 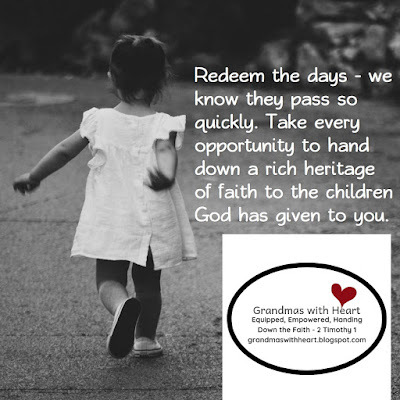 We are part of God's plan to hand down a heritage of faith to our grandchildren. 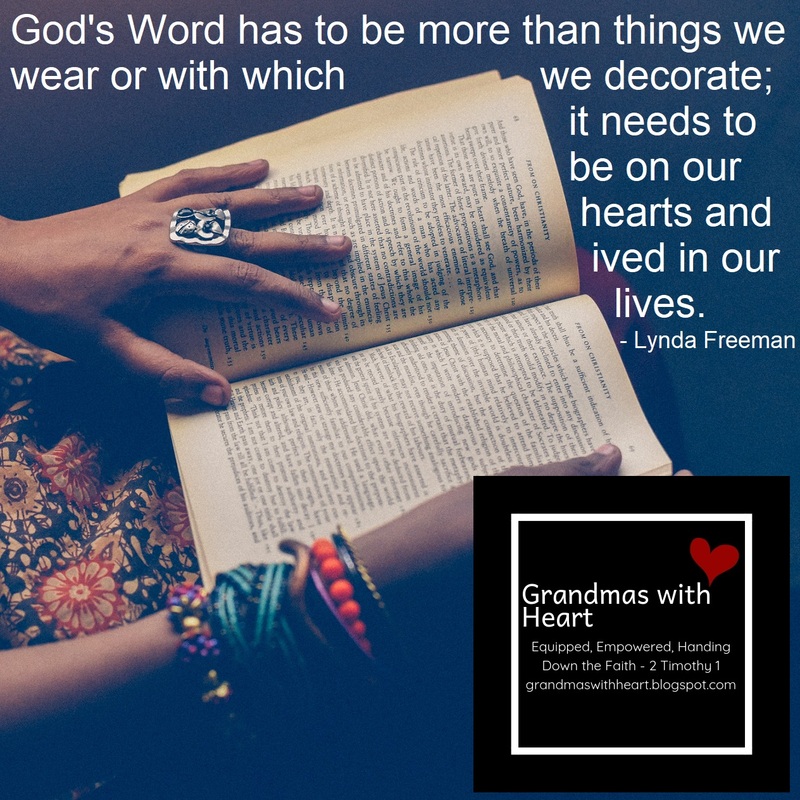 I looked at the first step in doing this; being people of the Word who have God's words, "upon our heart". 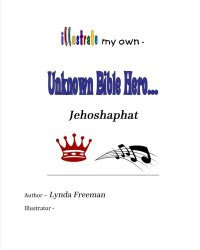 You will find what I had to say about this at the following link. Today I want to look at the next step . . .